This palladium wedding band has a stone finish, for easy wear and rugged look. An open, channel set, diamond ring. 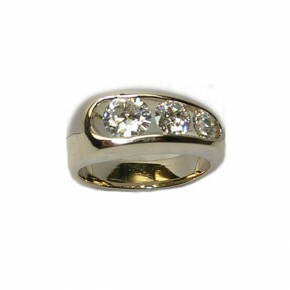 in 18k yellow gold, with European cut round diamonds, 1.25ct, .85ct, and .45ct. Slight curve for a comfort fit. Diamond and blue Montana sapphire wedding set. 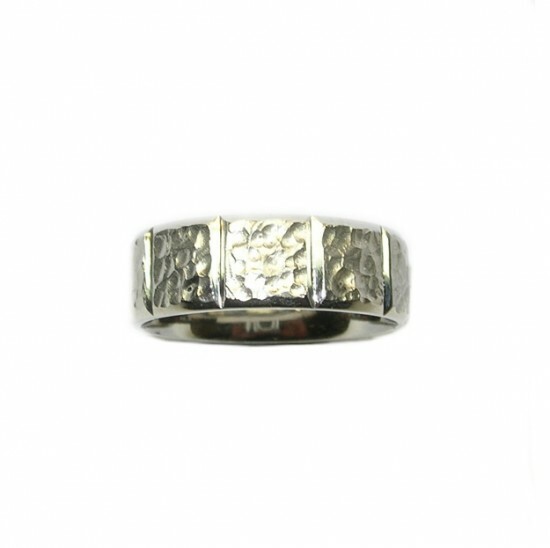 made in platinum, hand engraved in a Victorian style. .75 ct. center stone, bright bead setting style for the sapphires. 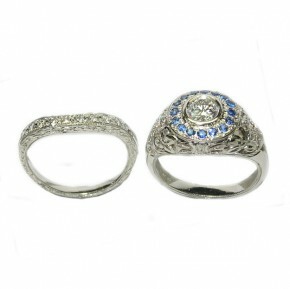 open floral work around the center section, with matching engraved wedding band, pave' set with round brilliant diamonds. 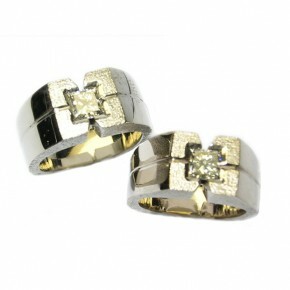 A matched set of Mens 14k white gold geometric rings. Each is set with a .85ct square brilliant cut diamond, high polished, with a hammered accent bezel setting.